Whether you’re a student moving back to town or just feel like one after a summer spending splurge, everyone loves free things to do. From Allston Christmas to free museums, street fairs and cultural festivals, here’s 50 free events to keep your calendar — and your wallet — full through September. 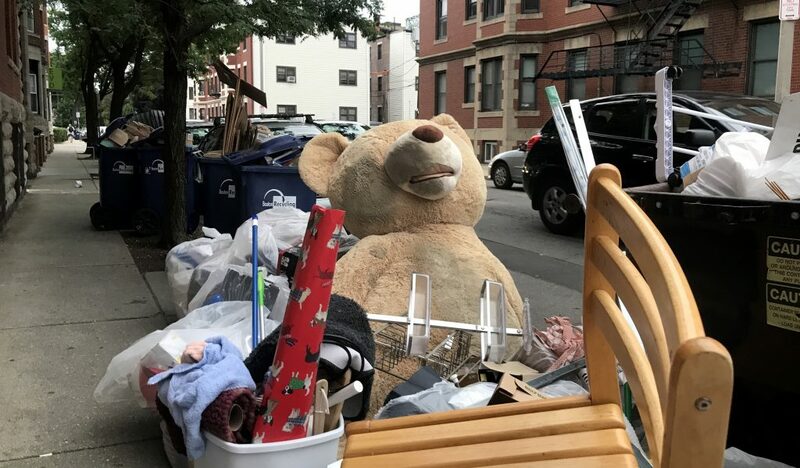 The ultimate free event, Boston’s annual trash-to-treasure transformation is already well underway, stretching from the college neighborhoods of Allston and Brighton to Cambridge, Somerville, and more. 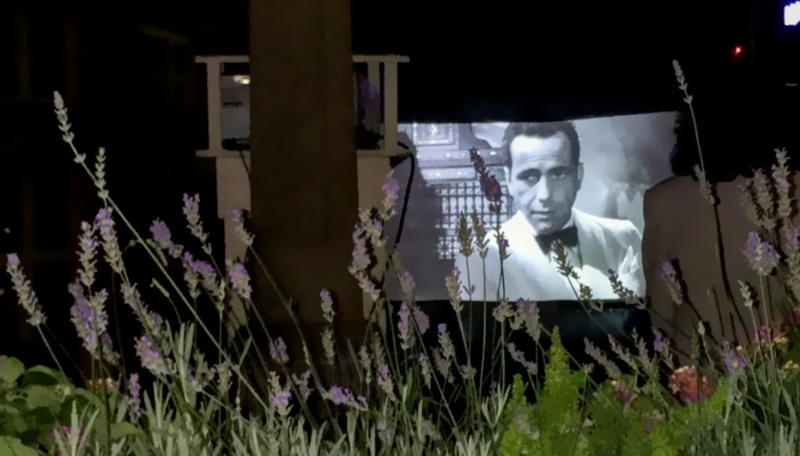 The Boston Harbor Hotel’s Friday night film series wraps up for the season with ‘Fever Pitch’ (September 1) and ‘Pirates of the Caribbean: The Curse of the Black Pearl’ (September 8). 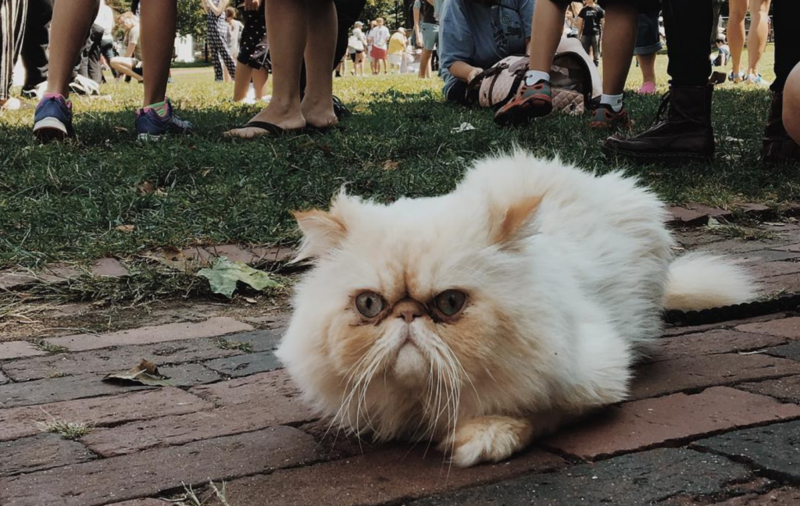 After a successful first meetup in August, September’s First Caturday invites owners to bring their cats in carriers or on leashes to socialize on the Common. The SoWa Open Market continues its 14th season gathering local artists, farmers, chefs, brewers and musicians every weekend through October. This month’s schedule features a food truck festival celebrating all things cheese — grilled cheese, mac and cheese, and cheesesteaks — on September 9 and 10. Cambridge’s Summer in the City series wraps up with its annual free performance from Vermont’s Bread and Puppet Theater on Cambridge Common. Do617 teams up with Pabst Blue Ribbon for its third annual Allston Christmas Party at Brighton Music Hall. The free and all-ages (21+ to drink) party features performances by Marcela Cruz, Latrell James, Magen Tracy & The Missed Connections, Elephants, and Glass Half Empty. The Institute of Contemporary Art (open 10 a.m. to 5 p.m.) and the Isabella Stewart Gardner Museum (open 11 a.m. to 4 p.m.) both offer free admission to all patrons on Labor Day. The annual free lecture series welcomes celebrated food experts and renowned chefs to showcase the science behind different culinary techniques. The 2017 series runs on ten Mondays through November and includes luminaries like Lidia Bastianich, Nathan Myhrvold, Joanne Chang, and José Andrés. Boston Calling ditched its Labor Day edition in favor of a super-sized May festival, but you can still enjoy one more block party at Dewey Square. The parties feature music from local DJs and a cash bar. The city’s parks department, Mayor Walsh’s office, and Northeastern University bring two free film screenings to Frog Pond on the Common: ‘Honey, I Shrunk the Kids’ (September 8) and ‘Top Gun’ (September 15). 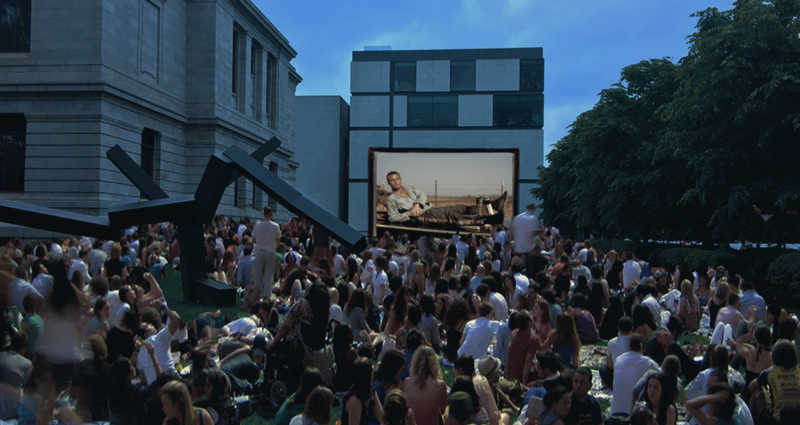 Screenings begin at dusk. 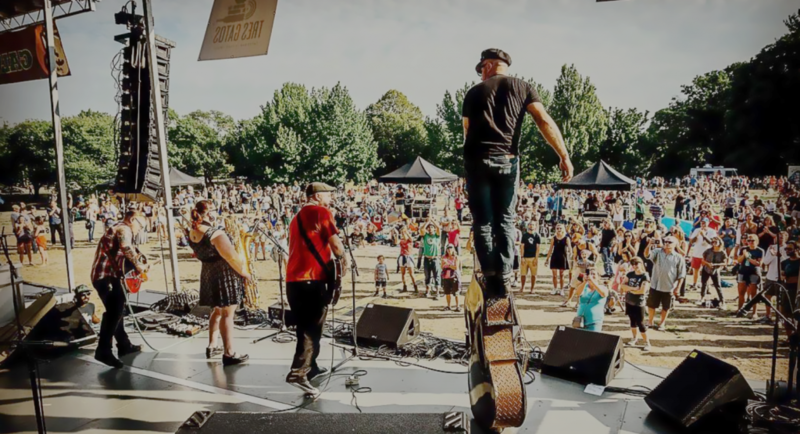 The annual festival fills Somerville’s Assembly Row with three days full of live local music, dozens of local artists, free children’s activities, a sidewalk sale, and the annual fireworks show over the Mystic River at sundown Saturday night. Join Dormition of the Virgin Mary Greek Orthodox Church on Central Street for three days of live music, Greek food, and dancing. After the North End’s Italian feast season wrapped up last weekend, the action moves to Warren Street in East Cambridge with amusement rides, a food festival, parades, games, cannoli eating contests, street performers, and nine live music acts. The Ink Block apartment complex in the South End hosts an opening day block party to celebrate the unveiling of the 2017 Underground Mural Project, complete with art, fitness, beer, food, music, activities for kids, and lots more. The annual all-ages festival brings 20 bands on two stages (plus plenty of food trucks) to Pinebank Park. This year’s lineup includes American Echoes, Goddamn Draculas, LOVE LOVE, Rick Berlin, and many more. The ICA’s new quarterly market brings local artisans, restaurants, and art-making to the waterfront. Shop handmade goods, sample local concoctions, and kick back with an ice cold coffee (or a beer) by the water. Vendors lined up for September include Aeronaut Brewing, Bantam Cider, Fort Point Arts, Union Square Donuts, Cask Force Vermont Maple Syrup, and many more. The ALT 92.9 free concert series wraps up for the season with Danish rockers New Politics playing outdoors at the SoWa Open Market. Celebrate man’s best friend at the Greenway’s North End Park with a variety of dog-friendly vendors and activities, including adoption services, treats and toys, and the signature “Pooch Smooch” doggie kissing booth. 13/10, would attend. Fit University hosts the second annual festival of free fitness and food for college students in Copley Square. Workouts include spinning, yoga, a Kick It By Eliza dance party, and more. 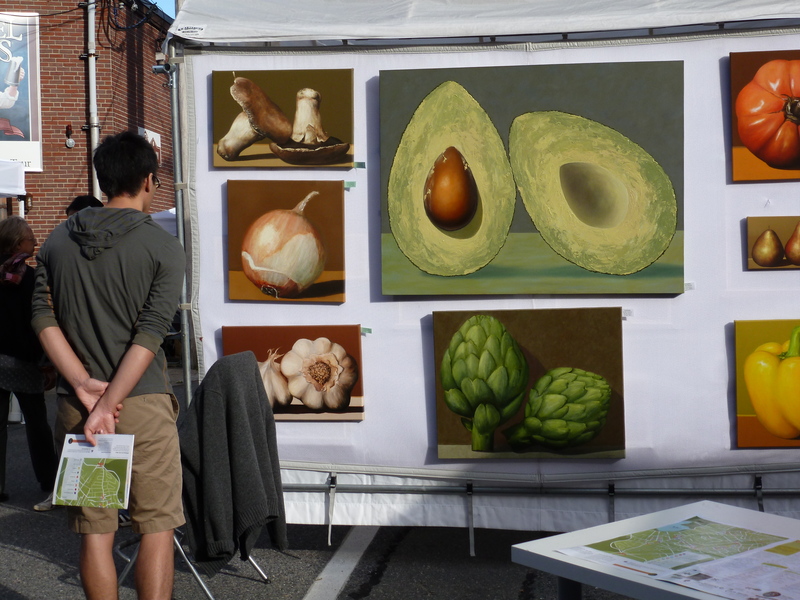 The annual festival kicks off Boston’s Arts Open Studios season, featuring more than 70 juried local visual artists and craftspeople, plus local musicians performing on the Waterfront Stage. The event brings over 50,000 visitors to Christopher Columbus Waterfront Park. The final installment of this summer’s three scheduled events transforming Newbury Street into a pedestrian-only walkway free of vehicle traffic. Check it out for al fresco dining and more between Arlington Street and Mass Ave.
Cambridge’s largest street festival is highlighted by a grand costume parade as revelers masquerade through the streets in dazzling handmade costumes. The festival runs along Mass Ave between Central and Kendall Squares. The quirky festival at Trum Field features a Doggie Fun Zone — like American Ninja Warrior for dogs — plus a dog/owner lookalike contest, free training classes, an urban mushing demo, games and more. The Somerville Rock And Roll Yard Sale returns to Union Square Plaza with a selection of vinyl, vintage, and DIY handmade goods. The Low Cards, The Silks, Willa Mamet and Paul Miller plus a DJ spinning vinyl provide tunes to accompany your shopping. The family-friendly community festival showcases the growing cycling community in Dorchester and the burgeoning Boston brewery scene, along with food trucks, live music, DIY bike repair, giveaways, and more. Dorchester Brewing Company hosts a beer garden and live music will by provided by the Second Line Social Aid and Pleasure Society and the Nephrok! Allstars. 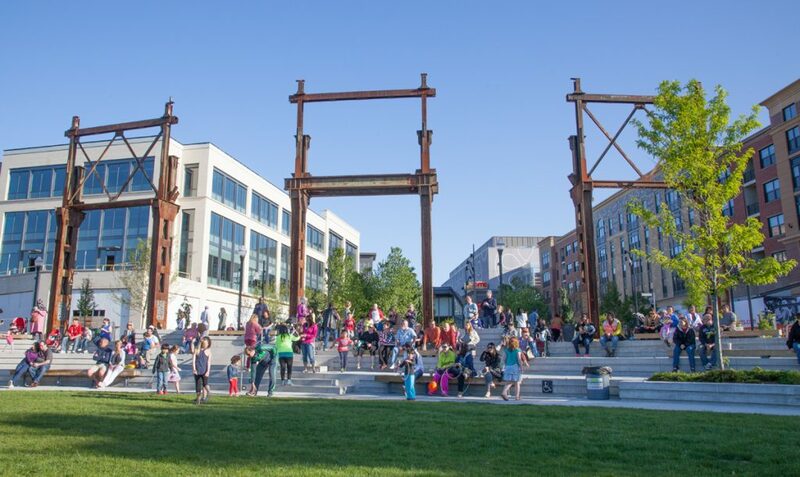 The annual dance festival on the Greenway features four nights of live music and a special Sunday afternoon dance-along. Music will be preceded by lessons from expert instructors in styles including salsa, swing, Klezmer and more. The MFA’s series of outdoor film screenings on the Huntington Avenue lawn teams up with the Roxbury International Film Festival to present Jordan Peele’s groundbreaking horror film ‘Get Out.’ Lawn games, music and art-making activities begin at 6:30 p.m. and the screening begins at sundown. Beer, wine and snacks will be available for purchase. You don’t need to trek out to Gillette Stadium to enjoy a country music festival: Mayor Walsh and Country 102.5 team up for the second annual Country in the City free concert at City Hall Plaza. Fifty-five community groups will transform more than 120 parking spots across Cambridge in the local edition of the annual worldwide event. Check out temporary public parks, ride along new separated bike lanes, and learn about new technology developed in the community. Better known as Hempfest, the Boston Freedom Rally is the official name of the largest annual gathering of pro-marijuana supporters on the East Coast, and the first edition since marijuana was legalized in Massachusetts last November. Follow your nose to the Common for live music, speakers, vendors, and more. Smoking in public is still illegal, so don’t be too obvious. 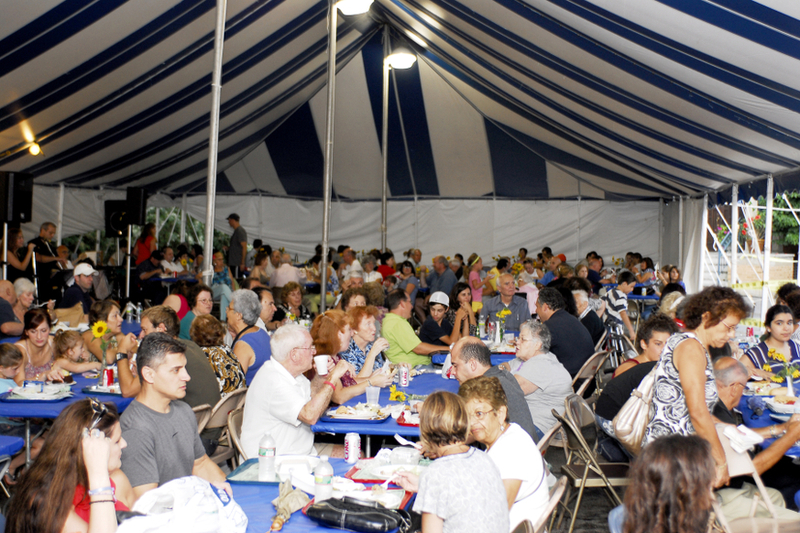 The Annunciation Greek Orthodox Cathedral of New England hosts one of the area’s largest Greek festivals, featuring three days of Greek cuisine, live music and DJs, dancing and an outdoor patio taverna. Mix 104.1’s annual free music festival welcomes Kelly Clarkson, Blondie and Andy Grammer to the Hatch Shell stage. Gates open at 11 a.m. and the music begins around 2 p.m.
Move, spin, dance and play at the second annual fitness celebration at City Hall Plaza. Start the day with Daybreaker’s sunrise yoga and dance party; stick around for open-air yoga, CrossFit, and spinning; and join in The Dance Mile interactive parade through the city. Two stages of live entertainment and more than 100 vendors take over East Broadway between I and L streets. 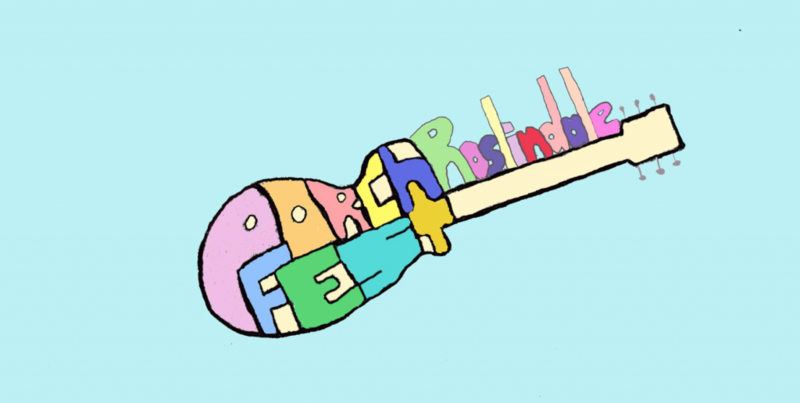 Roslindale’s family-friendly, alcohol-free version of the decentralized music festival welcomes 110 acts to 70 locations in the neighborhood. The Everett brewery transforms its parking into a Bavarian beer garden complete with brass bands, communal tables, lawn games, food trucks, and of course German-style beers. A group Oktoberfest toast kicks off the festivities at noon. The biggest back-to-school party in the region welcomes college students to spend the day at Fenway Park free of charge, grab some free swag from local vendors and enjoy live local music. The pop-up market created by Ball and Buck founder Mark Bollman showcases dozens of brands committed to quality and innovation in design. The two-day market is held at the Seaport’s Innovation and Design Building. More than 200 artists offer a backstage pass to their studios, located across one of Boston’s largest and most most exciting communities of working artists. The free outdoor festival on the Greenway showcases farmers, local restaurants, food trucks, specialty food producers and fisher folks. The festivities include chef demonstrations, a seafood throwdown, live music, and more. Join thousands of voices in song as the Revels musical theater group welcomes fall with their 14th autumnal equinox celebration. Pre-show festivities begin in Harvard Square, followed by a puppet-filled parade and communal singalong on the Charles River. 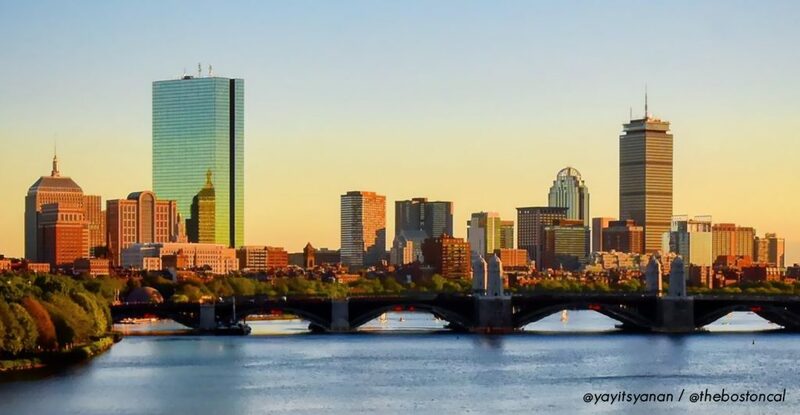 The first-ever Boston Startup Week is a free, five-day series of events celebrating, educating, and connecting the local startup community. More than 40 events cover fundraising, growing your team, scaling your business, and more, with keynote speeches by the cofounders of HubSpot, Draft Kings, and Localytics. 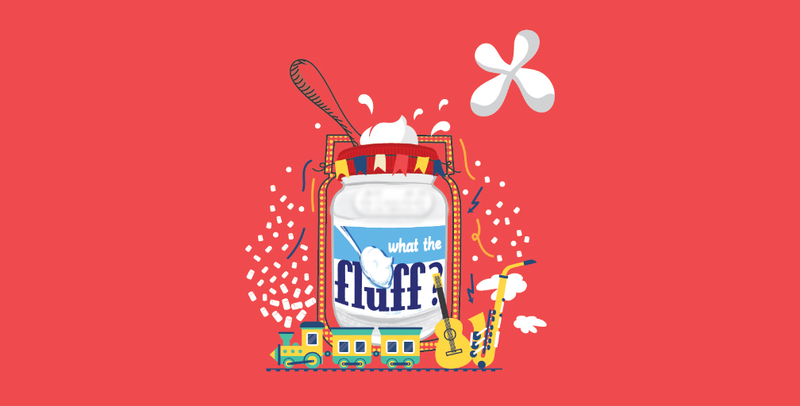 Union Square celebrates the ‘Fluffcentential’ — the 100th anniversary of the invention of marshmallow Fluff by Archibald Query in 1917. This year’s 12th annual festival will feature musical performances, a cooking contest, Fluff-themed games, and Fluff treats of every sort. There’s no better combo than Fluff and Teddie’s peanut butter, made right across the Mystic River in Everett — site of the second annual Everett Village Fest. The festival highlights the neighborhood’s craft breweries and distilleries plus food trucks and a full day of musical performances, headlined by the legendary George Clinton and Parliament Funkadelic. The biggest celebration of independent tabletop and video games in New England promises an inclusive, welcoming environment filled with family-friendly activities and games of all sorts that you won’t see anywhere else. Smithsonian Magazine offers free, ticketed admission to museums across the country in this annual event. Participating museums around Boston include the Museum of Fine Arts, the Harvard Art Museums, the Harvard Museum of Natural History, the Museum of African American History, and more. The premiere annual arts event in Boston’s most eclectic and artsy neighborhood returns for its 24th year, showcasing the works of more than 200 artists at 40 locations. Explore the neighborhood on two wheels with a cycling tour offered both Saturday and Sunday. Harvard Avenue transforms into an urban Mardi Gras showcasing the best of the vibrant and culturally diverse neighborhood. More than 30 live acts perform on on two outdoor stages and in the streets, in addition to vendors, artists, and craftspeople showing off their work. Boston’s biggest block party fills six blocks of Columbus Avenue with live music — jazz, Latin, blues, funk, and groove performances, along with KidsJam, an instrument petting zoo, and an array of food vendors. The annual festival attracts 5,000 visitors to Copley Square for dozens of traditional and contemporary Indonesian performances, plus vendor booths showcasing Indonesian food, clothing and art.